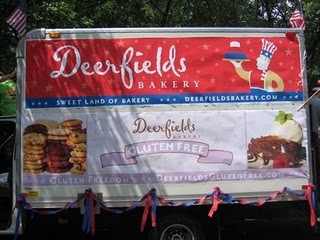 Deerfields Gluten-Free Bakery, located in Schaumburg, Illinois, is open to everyone at their location and via the internet. Lucky for us as well as their gluten-free line is in a dedicated GF facility! Open since 1886, it is now a five-generation bakery. I’m telling you, folks, if you want some tasty treats and delicious baked items, get on the internet or pick up the phone and order their cheesecake, Lemon Buttons Cookies, triple chocolate brownie, coffee cake, or mini cupcakes. Every single one of their products I tested was out-of-this-world. As stated, the gluten-free products are manufactured in a dedicated gluten-free facility, yet can be purchased in all three of their locations and many stores including many Whole Foods as well as the internet. Tim Schmitt says his great, great grandfather had a vision, and his family has kept this vision alive and introduced the gluten-free line after a year of trial and error. 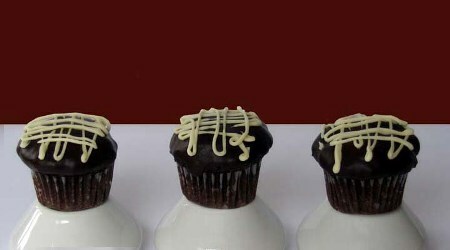 They have perfected each and every product ; the main focus was on eliminating the gluten. He said most people can’t tell they’re gluten-free. I agree! I love these family businesses and like to support them, especially when they go out of their way to maintain a dedicated GF facility, which is not an easy task! I am sooo thrilled to find Deerfields on your site because they are one of my all-time faves! The mini cupcakes are sooo delicious and moist too! Wow sounds like you really enjoyed this one! I’m ordering something now! I am so happy that you are recommending Deerfields. I LOVE them! Woohoo loving all these enthusiastic recommendations on your blog, adding this one to my list! Love to hear about these family businesses and so glad they’re doing well and do such a great job! Well I’m convinced…ordering some goodies now! The sourcream coffee cake is perfect for the morning! Great to have a slice with coffee! This bakery is amazing, incredible, delicious and nothing like typical gluten free yummys. The Cheese cake has a lemony zesti taste. The Lemon buttons are very tangy. The Brownie cookie is good and puffy. I love their Cheesecake! Cheesy flavor at first, but it comes extremely buttery. Great texture. Love the crust and the flavor. I like the light lemony flavor and heavy density in the Lemon buttons. The Triple chocolate brownie is very rich and moist. Greater alternatives to the real thing! Wouldn’t have guessed they weren’t gluten free. Deerfield’s deserts are very good. The Lemon buttons have a strong lemon flavor. Nice texture. The Triple chocolate brownies are extremely rich and filling.